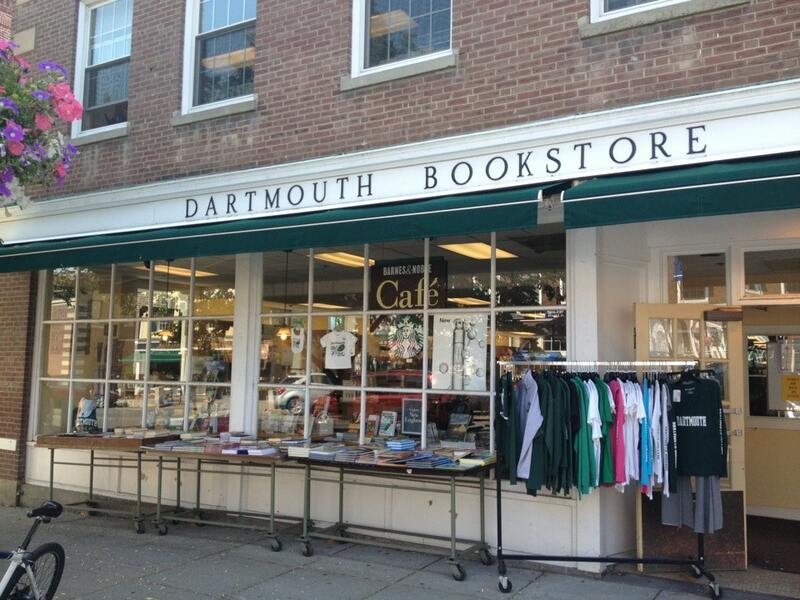 The Dartmouth Bookstore, Hanover, N.H., is closing at the end of the year after Barnes & Noble College, which manages the store, was unable to renew its lease, the Dartmouth reported. This would leave the town "without a place to buy newly released books," the paper added. Town manager Julia Griffin called Dartmouth Bookstore a "core store" whose loss would be a "real blow" to Hanover, home of Dartmouth College. On busy weekends, she continued, the store is "hopping with people." "Our lease expires this year at the end of December, and unfortunately we have been unable to come to terms with the landlord on a new lease," B&N College v-p Paul Maloney told the Dartmouth. Bookstore/Bar Set to Open in Portland, Ore.
Rose City Book Pub, the first bookstore/bar in Portland, Ore., plans to open in northeast Portland in the site of the former County Cork pub, the Oregonian reported. Owned by Elise Schumock, Rose City Book Pub will feature children's books and "used literature, including books from Schumock and her parents' own collections." (Her father, Jim Schumock, was a host on the radio program Between the Covers.) The bar will offer "Northwest spirits and around 20 taps for beer and wine." Schumock told Willamette Week: "It's mostly putting all the things I like together in one room, which is wine and beer and books and people. I've been planning this for three years. A friend suggested it as a pipe dream, and I said, 'I can do that.' "
An Indiegogo campaign for the store has raised nearly $11,000. The bookstore/bar is currently adding shelves and aims to open October 14. A grand opening party is set for November 3. The American Booksellers Association, in partnership with Two Cats Communications, has launched a social media campaign called Booksellers of America, a platform designed to "share the stories and experiences of the diverse people who own, manage, and hand-sell books in the more than 2,400 independent bookstores across the nation." Booksellers of America will feature photos of and interviews with booksellers from all around the United States on its Instagram and Facebook pages. The plan is to feature everyone from owners and managers to frontline booksellers and events coordinators, focusing on the "little (and big) moments that comprise the indie tale," and showcasing what makes each individual indie unique. Noah Nofz and Mary Cate Stevenson, the founders of Two Cats Communications, will be running the Booksellers of America program. The first interviews will be appearing over the next couple of weeks. Indie booksellers interested in appearing in Booksellers of America can get started here. Penguin Young Readers has launched the World of Eric Carle imprint, which is dedicated to the works of the acclaimed author and illustrator. Under the editorial leadership of Francesco Sedita, publisher of Penguin Workshop, the new imprint "will focus on publishing books that are based in the core values of discovery, creativity, learning and growing--all hallmarks of Eric Carle books," the company said. Coinciding with the 50th Anniversary of Carle's iconic picture book The Very Hungry Caterpillar, the imprint debuts this winter with three new titles: Calm with the Very Hungry Caterpillar, Eric Carle's Book of Many Things, and Happy Birthday from the Very Hungry Caterpillar. "The opportunity to work closely with Eric Carle and his wonderful team is a childhood dream come true," Sedita said. "The Very Hungry Caterpillar played a vital role in my childhood, and I'm thrilled to get Eric's art--and beautiful messages--into the hands of children for many generations to come." Carle added: "I am delighted that Penguin Books for Young Readers is making a special home for The Very Hungry Caterpillar and my other books with the new World of Eric Carle imprint. I hope friends and readers will enjoy my books for many years to come. Thank you, Penguin!" At the 45th annual New England Independent Booksellers Association fall conference this week in Providence, R.I., booksellers from across New England met and mingled with each other, publishers and wholesaler's reps. Highlights included the sold-out Publisher Pick-Nic Lunch; panels like Unlocking the Marketing Power of Social Media and Maximizing Pre-Order Campaigns (presented by the ABA); and events featuring authors and illustrators, such as the Author Cocktail Reception and Awards Banquet. The biggest news in many ways was administrative coordinator Nan Sorensen's announcement at the annual meeting that she is retiring, effective next spring. She has been with NEIBA for 20 years, from 1994 to 2001 and--after a stint at Houghton Mifflin Harcourt--since 2006. Beloved by many, she received a standing ovation. For NEIBA, this marks the second major staff transition in less than a year: last October, executive director Steve Fischer announced that he would retire, which he did early this year after Beth Ineson was named executive director. "I grew up in a family of readers," Valerie Jarrett (r.), former senior adviser to President Barack Obama, said to journalist Karen Holmes Norton (l.) in her opening keynote. Her "unusual" childhood, she suggested--living in Iran on a medical compound until the age of five, then raised in Chicago in the '60s--helped develop her interest in public service. This interest led, first, to positions in Chicago's city government, then to becoming Michelle and Barack Obama's trusted personal advisor and, eventually, to the White House. Her new book, Finding My Voice (Viking), is about this journey. The NECBA Windows and Mirrors Project "seeks to draw on the expertise of the New England bookselling community in curating a yearly list of diverse titles that demonstrate strong representations of marginalized identities as well as great literary merit." The 2018 list was unveiled at the NEIBA fall conference during the New England Children's Booksellers Association's NECBA Picks panel. Booksellers, publishing representatives and other industry colleagues drank, dined and discussed books at the Author Reception on Tuesday night: (l.-r.) Rachael Small (Europa Editions), Kristianne Huntsberger (Shelf Awareness), and Alex Schaffner, Nick Petrulakis and Lydia McOscar, all of Brookline Booksmith, Brookline, Mass. Rob Sanders presents his newest title, Pride (Random House Books for Young Readers), at the Author Reception, with PRH's Kate Sullivan. At Wednesday evening's awards banquet, Chris Rose of Andover Bookstore/HugoBooks (Andover, Mass.) told booksellers to be "wildly proud of what you do every day." Pictured here are BINC scholarship winner Ali Murray (Bookery Manchester, Manchester, N.H.), NEIBA advisory council member Susan Schlesinger (Books on the Square, Providence, R.I.) and Liz Cipriano (Bookery Manchester) enjoying the banquet and being wildly proud of what they do. Presidential Award winner Elizabeth McCracken told the Wednesday evening award banquet audience that "America is an anthology--it is multi-voluminous and, in fact, it is a bookstore." Leslie Pryor, Totsi McGonagle and NEIBA board member Bill Grace (Buttonwood Books and Toys, Cohasset, Mass.) celebrating together the expansive world of bookselling. French filmmaker and writer Marceline Loridan-Ivens, "who explored the long-term anguish of surviving Nazi death camps and challenged her compatriots about their attitudes toward Jews," died September 18, the New York Times reported. She was 90. Loridan-Ivens was deported to Auschwitz-Birkenau and one of her last books, But You Did Not Come Back, "is written as a letter to her father, Szlhama Froim Rozenberg, with whom she was deported and who died at Auschwitz." On her return to France after the war, she "spent the next several years in Paris immersed in the Left Bank intellectual milieu of the 1950s, coming to know the semiotician and philosopher Roland Barthes and the philosopher and sociologist Edgar Morin," the Times wrote, adding that she typed manuscripts for Barthes and acted in several films. In 1993, four years after the death of her second husband, Dutch filmmaker Joris Ivens, she began work on the film La Petite Prairie aux Bouleaux (The Birch-Tree Meadow), which told a part of her own story and was released in 2003. She went on to write about her Holocaust experience in three books--two co-written with journalist Judith Perrignon--including L'Amour Aprés (Love Afterwards), which was published this year. 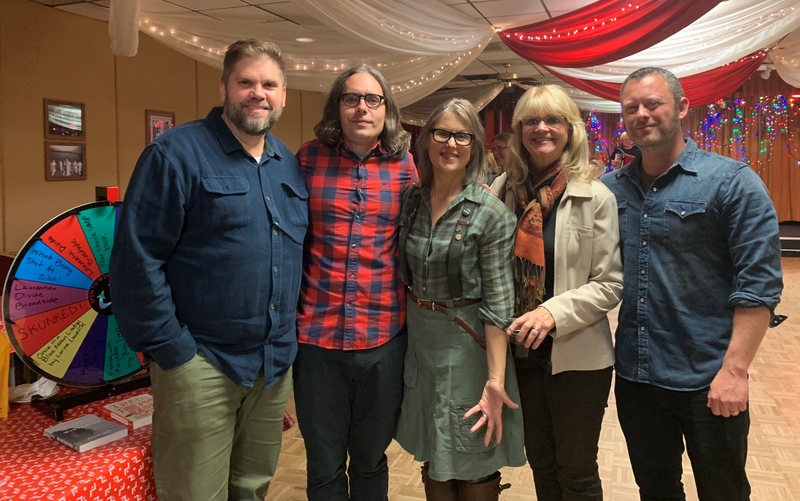 Author Sarah Stonich (center) celebrated the launch of her new novel, Laurentian Divide (University of Minnesota Press), with a north woods-inspired party at the Eagles Club #34 in South Minneapolis. The event featured a meat raffle, a prize wheel, pierogies, an accordion player and readings by fellow Minnesota authors (l.-r.) Peter Geye; Stonich's editor Erik Anderson; Lorna Landvik; and Benjamin Percy. It's in my blood. My mother started the store 32 years ago. I've spent my whole life surrounded by the wonder and magic of stories. When I was younger, I never imagined taking over but, like a good book, the store drew me in and now I can't imagine doing anything else. Developing and catering to our niche, while not excluding the larger audience. It's especially true with the under-18 crowd; we want to grow with them, encourage them, but still challenge them. Fostering a love of reading that will continue with their children. We have to be a constant for our customers and yet change with them. Reading Group Choices 2019: Selections for Lively Book Discussions, the 25th annual edition of the guide to book club picks, is now available from Reading Group Choices for $7.95 and can be purchased on its website. The more than 60 recommended titles are in three sections: fiction, nonfiction and young adult. For each title, the guide offers bibliographic information as well as review excerpts, information about the author and conversation starters for book club discussions. 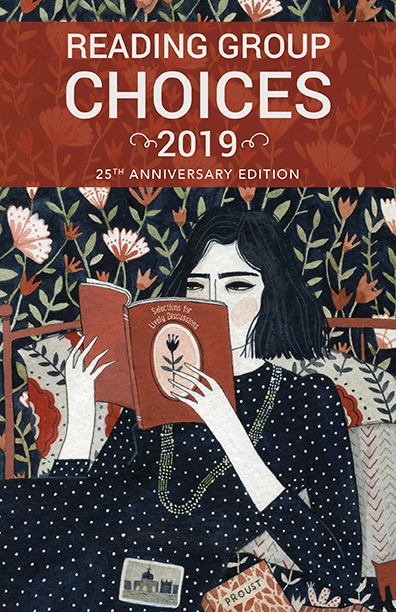 Titles featured in Reading Group Choices 2019 include The Burning Girl by Claire Messud, Grief Cottage by Gail Godwin, The Stars Are Fire by Anita Shreve, The Best of Us by Joyce Maynard, Fly Girls by Keith O'Brien and The Stranger in the Woods by Michael Finkel. By the way, Reading Group Choices owner Mary Morgan offers lovely commentary on book groups as part of her introduction in the book: "Reading groups are special. This is not based on a statistic but on the stories we hear about the importance of book groups in people's lives. Reading group members share histories, stories, friendships, moments, and adventures that they likely never expected when they signed up 1 or 3 or 5 or 20 or 30 years ago. They get together in any weather--snow, rain, sun--in any location--a house, a bookshop, a café--and just talk about books for a bit. It is exponentially enjoyable to celebrate and support these groups that inspire us." Reading Group Choices includes a website and monthly e-newsletter. 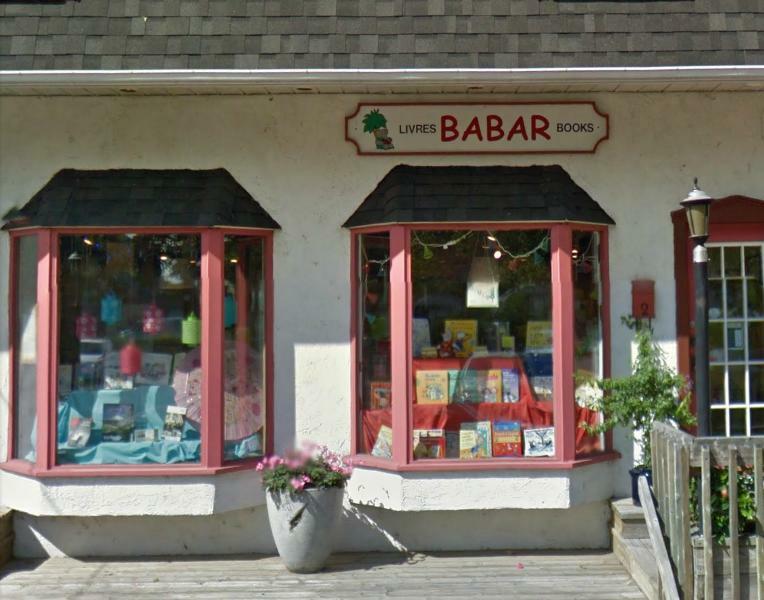 It also organizes events at independent bookstores, book festivals and libraries around the country. Lili Feinberg has joined Simon & Schuster Children's Publishing as associate publicist. She was most recently publicity assistant at Tor/Forge. Megan Schumann is joining Rutgers University as senior public relations specialist. She was formerly publicity manager at Crown. 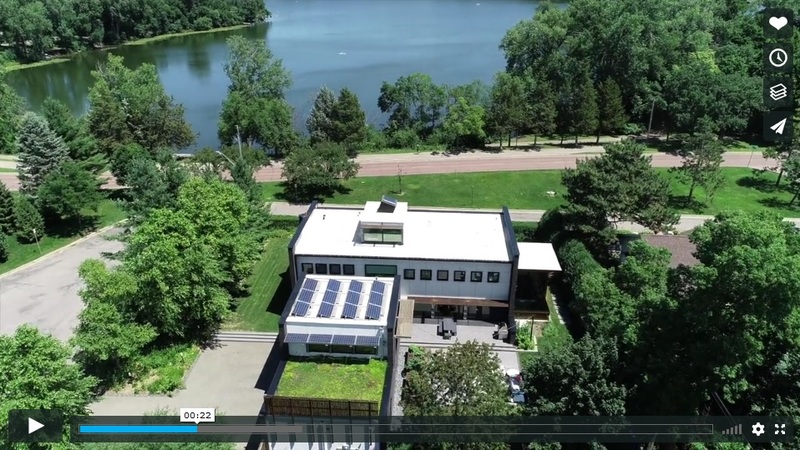 Building a Sustainable Home: Practical Green Design Choices for Your Health, Wealth, and Soul by Melissa Rappaport Schifman (Skyhorse Publishing). CNN's Van Jones Show: America Ferrera, author of American Like Me: Reflections on Life Between Cultures (Gallery, $26, 9781501180910). Eva Green (Sin City) and Eve Hewson (The Knick) will star in a BBC Two drama based on Eleanor Catton's 2013 Man Booker Prize winning novel, The Luminaries. Deadline reported that Catton is writing the adaptation for the six-part series, produced by Working Title Television. Green plays the character Lydia Wells, with Hewson as Anna Wetherell and Marton Csokas (Lord of the Rings) as Francis Carver. "I'm thrilled to be joining Working Title and this wonderful team," said Green. "Eleanor has written a series of brilliant screenplays. I loved her original novel and it's so exciting that her own screen adaptation reveals yet more exquisite material." Director Claire McCarthy added: "Ever since I read Eleanor's incredible novel I've been completely captivated by the rich world she has created. What an honor to bring this beautiful and original work to the screen. I'm delighted to be joining forces with such wonderful actors and dynamic creative team." Victoria (V.E.) 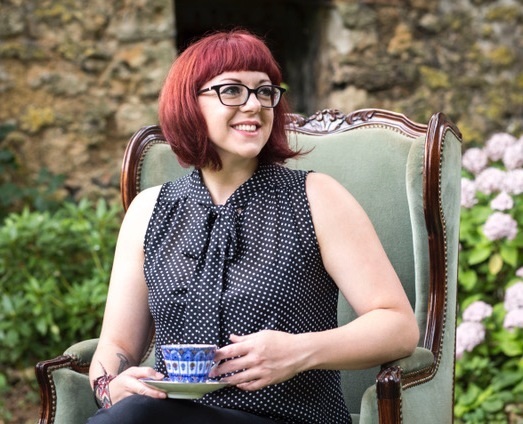 Schwab is the author of the Shades of Magic series, as well as a number of middle-grade and YA novels, including City of Ghosts. Schwab has a master's degree in art history from the University of Edinburgh. 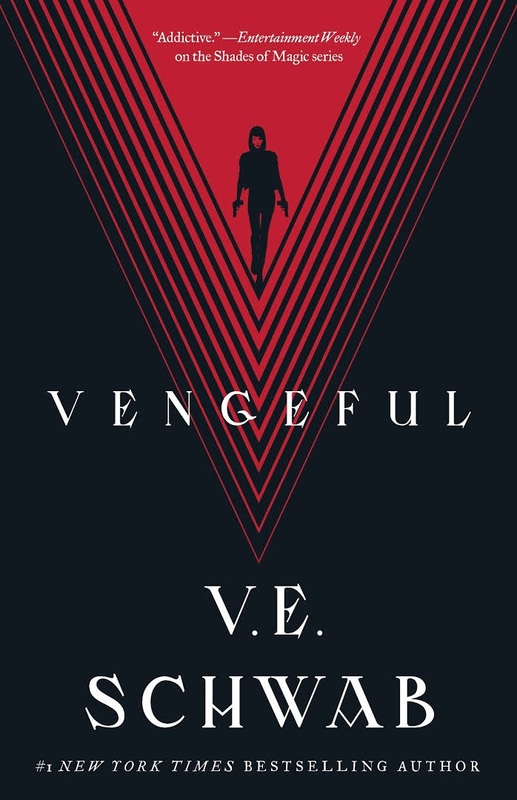 Her next release is Vengeful, a super-powered battle of genius, cruelty and the lengths one will go for vengeance--the sequel to her adult debut, Vicious. Oh, man, it's amazing my nightstand hasn't collapsed from the weight. But a few of my most anticipated right now are Hank Green's An Absolutely Remarkable Thing, Rebecca Schaeffer's Not Even Bones and Rena Rossner's The Sisters of the Winter Wood. So I didn't come to reading very early--I was proficient, but didn't fall in love with the act until I found Harry Potter when I was 11. But I do vividly remember jumping from Boxcar Children to Robert Ludlum's Jason Bourne books! It's an ever-changing/expanding list, but my auto-buy, auto-follow, auto-everything authors are Neil Gaiman, Holly Black, Alexander Chee, Jenny Lawson and Leigh Bardugo. The Lord of the Rings. I finally admitted to never having read it in a speech I gave at Oxford on, you guessed it, Tolkien. There's a nonfiction book called Lab Girl by Hope Jahren, a strange, extraordinary musing on botany and sanity and nature and life, and I have bought so many copies for so many people. It's a book I wish everyone would read. Sooooo many. I admit to being a visual creature. Most recently The Mere Wife by Maria Dahvana Headley and An Unkindness of Magicians by Kat Howard, but in my defense, I'd already purchased both as e-books for the content, I simply couldn't resist the hardcovers. Probably the Robert Ludlum books. They were pretty violent, and I was pretty young--but I don't think my parents would have minded. I know it sounds trite, but it's true--I was 11 when Harry Potter came out, and I'm not sure how long it would have taken me to discover a love of reading if I hadn't found those books. But I owe as much to Shel Silverstein's Where the Sidewalk Ends and Neil Gaiman's Fragile Things. There is no possible way I could choose. I never re-read, but if I could go back and read one again for the first time, it would be Neverwhere by Neil Gaiman. As the first in her family to attend college, Tanya Smith went to SUNY Geneseo to study biology in hopes of following the paths of Jane Goodall and Dian Fossey, observing African mountain gorillas in the wild. Instead, she became fascinated by microscopy and the human history it revealed when fossilized teeth were imaged. The Tales Teeth Tell is a first-person account of her work as an associate professor at Harvard and at the Australian Research Centre for Human Evolution at Griffin University in Brisbane. She offers a fascinating history of dental paleoanthropology and the role of teeth in human evolution. As she notes: "Not to knock rings in trees... but there is far more to discover inside our own mouths." Filled with illustrations, charts, graphs and photographs, Smith's first book could easily have turned into one of those dry academic research papers that only other researchers read. But she is having none of that. 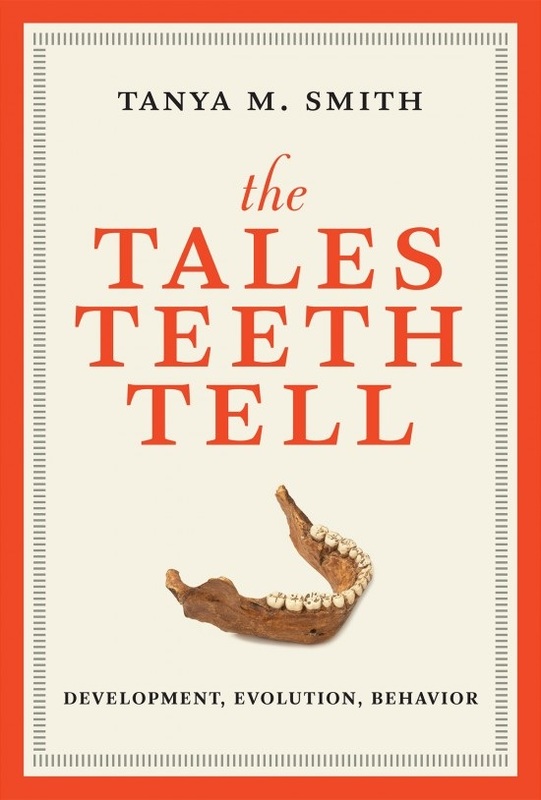 Although she describes her lab mission with a mouthful on her website ("Odontological inquiry... and histological analysis of dentition... for the understanding of hominin evolution and the origin of developmentally modern humans"), The Tales Teeth Tell is an accessible, personal, often funny and occasionally controversial look into the murk of human evolution. Like Hope Jahren's recent highly lauded memoir Lab Girl, it at times drifts off-piste into cultural folklore, such as the "tooth fairy," "long in the tooth" and "gain a child, lose a tooth." She wanders into discussions of primates' use of toothpicks, tooth fossil evidence about the real "paleo" diet, the background of early tooth decoration with jewel implants and blackening, and the nascent experimentation in stem cell bioengineering of replacement teeth. Ever the scientist, Smith doesn't stray for long from the underlying research results. We learn, for example, about the progressive emergence of teeth in newborns and the internal and external structure of our canines, incisors and molars. She notes: "The hardest tissue in the body," the mature enamel of the tooth crown, is a "one-shot deal; there is no possibility of a do-over." The good news for researchers is that even after thousands of years, this enamel still contains the history of human development, diet and longevity. Find a fossilized tooth and you find a little bit of the history of man--as suggested in one chapter title: "The Big Picture: Birth, Death, and Everything in Between." An inveterate field anthropologist who loves "crawling around on my hands and knees looking for miniature jaws, and warily scanning anthills for the rare tooth in foot-high mounds of tiny pebbles," Smith treasures a newly discovered fossil the way astronomers love a new galaxy. The Tales Teeth Tell is chock full of fascinating science, but it's also the personal story of a woman of science immersed in her work. --Bruce Jacobs, founding partner, Watermark Books & Cafe, Wichita, Kan. Shelf Talker: In her first book, research biology anthropologist Tanya Smith recasts the history of evolutionary science in the examination of teeth. Next Thursday is National Poetry Day in the U.K., but I'll be celebrating in Minneapolis while covering the Heartland Fall Forum, hosted by the Midwest Independent Booksellers Association and the Great Lakes Independent Booksellers Association. Poetry will be in the Twin Cities air, however. 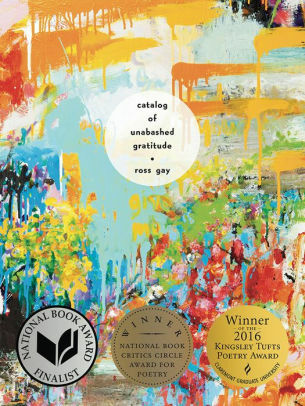 As it happens, one of the featured writers at the Tasting Notes Dinner October 4 is poet Ross Gay, winner of the 2016 National Book Critics Circle Award for Poetry for Catalog of Unabashed Gratitude (U. of Pittsburgh Press). He'll discuss his upcoming collection of short lyric essays, The Book of Delights (Algonquin, February). Minneapolis is a great poetry town. I discovered this inadvertently at 19, when I was introduced to John Berryman's newly published His Toy, His Dream, His Rest in a college English class, though I wouldn't actually set foot in the city for the first time until 2008. I still read Berryman, and I'm fortunate that the Minneapolis/poetry connection has been a renewable resource. Lately I've been listening to Chime, a new album from Dessa, the rapper, singer/songwriter, essayist and--by any reckoning and reading of her lyrics--poet, with solid Minneapolis credentials. 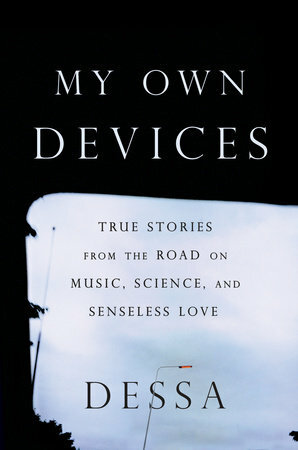 I'm also reading her new book, My Own Devices: True Stories from the Road on Music, Science, and Senseless Love (Dutton). In fact, Dessa prompted my recollection Berryman's "old" lines after I encountered this passage: "I have always been preoccupied with death--mine and other people's--since I was a kid. I consider myself the steward of the old woman I will become, and I'm aware that with every day, we are closer to the same person. My parents used to joke that I was eight going on forty." is sanctuary & nothing is a gun. down squeezing out the body's air. In an NPR Weekend Edition interview, Limón observed that "the questions just keep getting larger and larger. How do we hold all of these dualities in our minds--the daily bombardment of painful news and then the sort of sweet, little moments at home and the smallness of life? And how do we celebrate the shift in seasons or the moment you hold hands amongst all of that great tragedy? I'll ask it to myself over and over--how do we live like this? How do we find this balance?" In her poetry, she does. 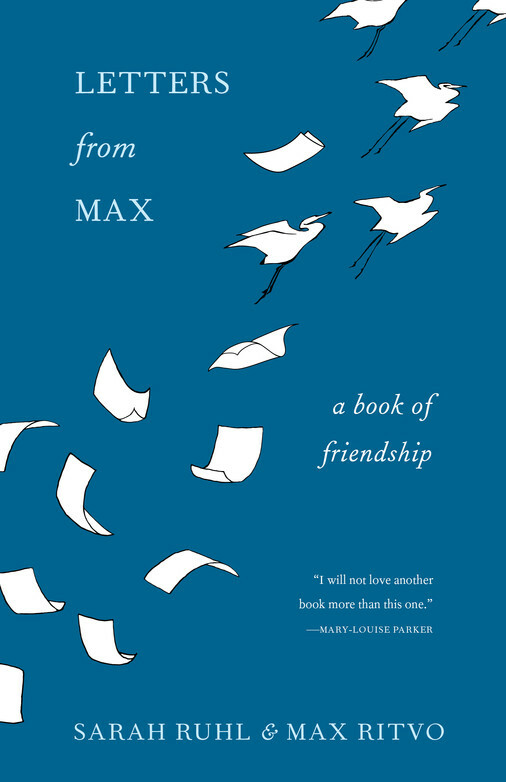 Also from Milkweed is Letters from Max: A Book of Friendship. It is at once painful and enlightening to eavesdrop on the correspondence between playwright Sarah Ruhl and the late poet Max Ritvo (Four Reincarnations: Poems, Milkweed). This is more than a collection of letters, poems, songs and e-mails between a teacher and her former student who becomes a friend. Ritvo's cancer death sentence is the shadow here, yet what emerges from their brilliant, funny, heartbreaking conversations is a frank exploration of human connection, mortality, art and much more in precious real time. Describing his radiation treatment, Ritvo observes: "But the most heartbreakingly beautiful just-for-you thing is the sound the machine makes when the beam is emitted. Sarah, it sounds exactly like a tiny man with a tremor is opening a can of soup inside the gun.... Soup is the food that most allows your mouth to approximate silence--chewing is so very similar to speech." Ruhl responds: "For me I think there is something about the distillation process of making soup, and knowing that you are eating something distilled by time and patient human beings." Theirs is a life and death conversation, deftly seasoned with poetry. As I celebrate National Poetry Day U.K. next week in Minneapolis, I'll have all these extraordinary words--and a city full of book people--for company. What more could a reader ask for?